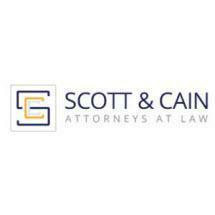 At Scott & Cain, Attorneys at Law, in Knoxville, Tennessee, we are fully prepared to do everything we can to help you obtain the best possible outcome for your serious personal injury or wrongful death claim. Backed by our more than 57 years of combined legal experience, our law firm's attorneys, Tom Scott and Chris Cain, possess the extensive knowledge and skills required to help you achieve the positive results you seek regardless of how complex or challenging your situation. Over the course of our practice, we have recovered millions of dollars in settlements and awards for our plaintiff clients, and we promise to fight aggressively on your behalf to help secure the money you need to cover your medical bills, lost wages and other damages associated with your unfortunate accident. Widely regarded as one of the top injury practices in the region, we have earned the respect of our clients and peers alike, and our law firm is rated AV Preeminent* by Martindale-Hubbell, so you can trust us with your most sensitive legal matters. Whether your claim is the result of a motor vehicle accident, a defective product, an act of medical malpractice or some other incident caused by another party's negligence or wrongdoing, you can turn to our law firm for the compassionate support and effective representation you deserve. To receive a free evaluation of your claim from an attorney devoted to helping you secure a brighter future for yourself and your family, you can contact Scott & Cain, Attorneys at Law, by phone, email or through the online form located on our law firm's website to schedule an appointment.